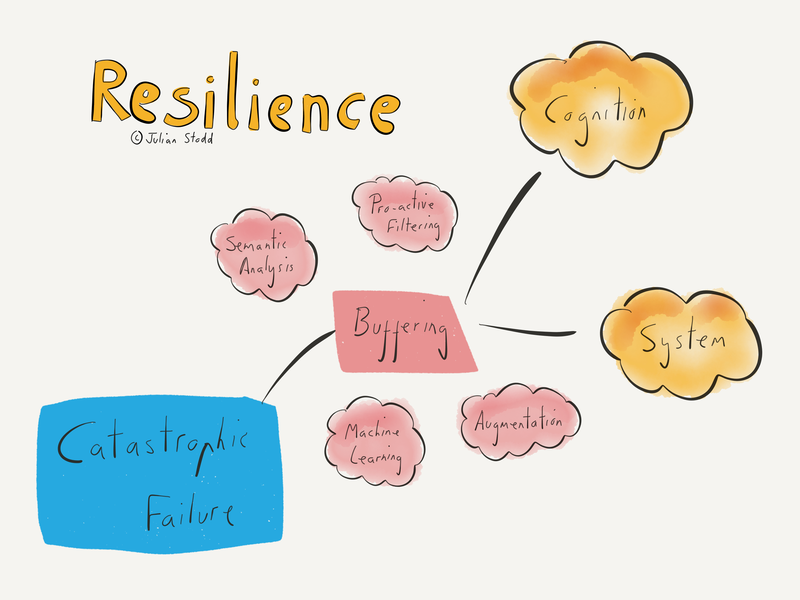 I’m working on a new session to deliver this afternoon around resilience in organisations: our ability to become less brittle in the face of asymmetric and unknown disruption. I’m primarily concerned with linking up three separate streams of work: the first concerns Types of Power, with a particular focus on the emergence of networked power, the second concerns technology, specifically how it can buffer disruption, and the third is notions of the Socially Dynamic Organisation, and the diversified strength that it brings. This is broadly a question of Organisational Design, but not simply in terms of formal hierarchy, assets, and infrastructure. 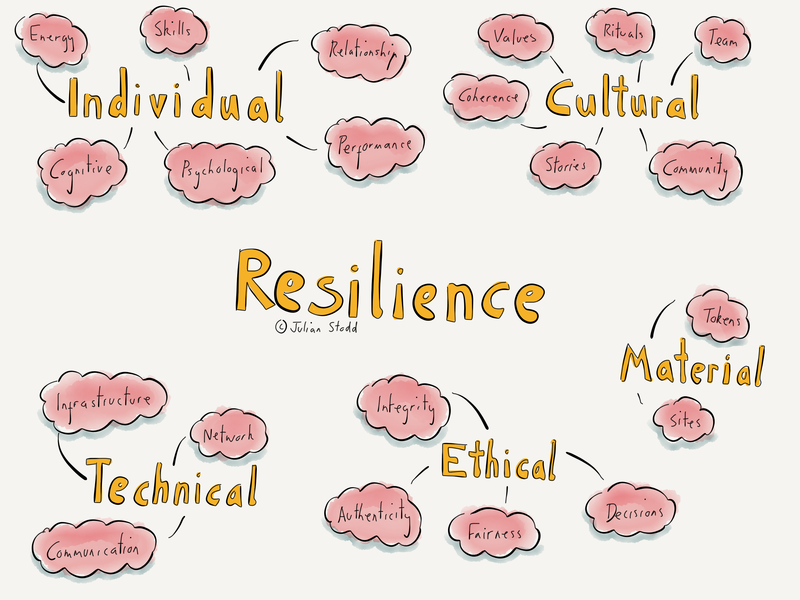 Rather it is a question of capability and connectivity: the degree to which the organisation is able to leverage different facets of strength to achieve greater resilience, to be less brittle. 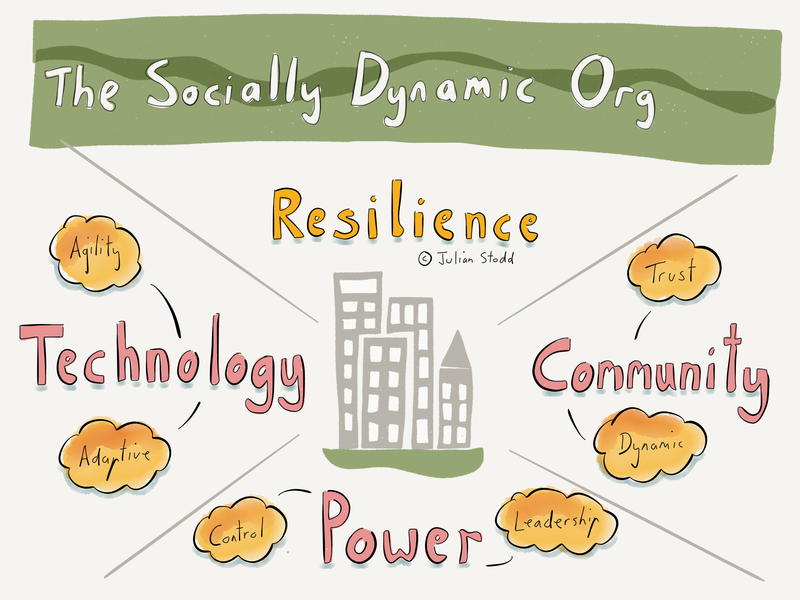 I’ve been doing work around these three areas for a while, but I thought it would be fun to bring them all together and consider how the connected and adaptive organisation, the Socially Dynamic Organisation, will be stronger. Communities have great sense making potential: features of social filtering and amplification. I’ve explored this previously in the context of Black Swan type events and the limitations of formal hierarchy to cope with them. Communities can provide us with a sensitive, distributed, sense making capability, and ability to filter weak signals from great noise. Communities themselves are more powerful because of the evolved types of power we see in the Social Age: individual power, hierarchical power, and the newly emergent networked power which is causing widespread disruption. So if we build greater strength into our social communities, we may be better able to weather disruption. 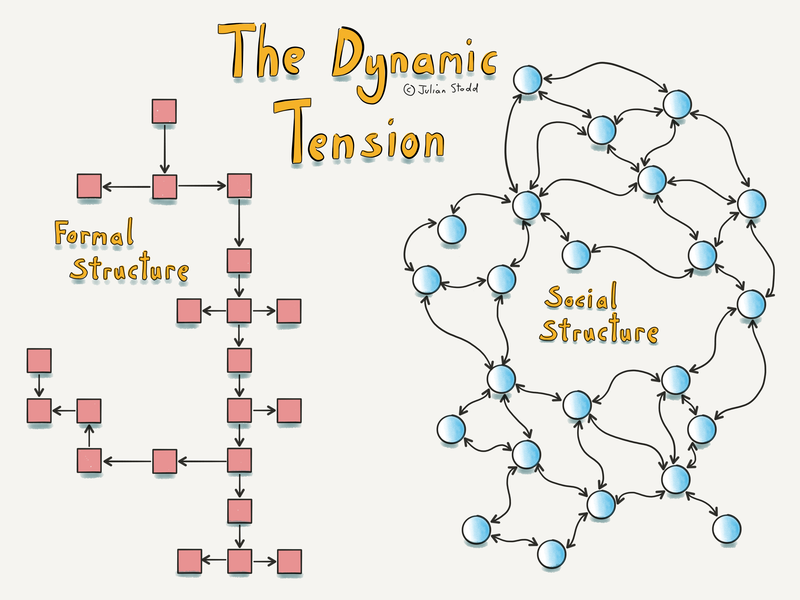 That will require us to navigate the dynamic tension between the formal and social systems: where formal systems prevail, we build massively strong, visible and hierarchical, system and process based strength. Where social systems triumph is through trust-based networks of reputation: sense making entities powered through tacit and tribal knowledge. 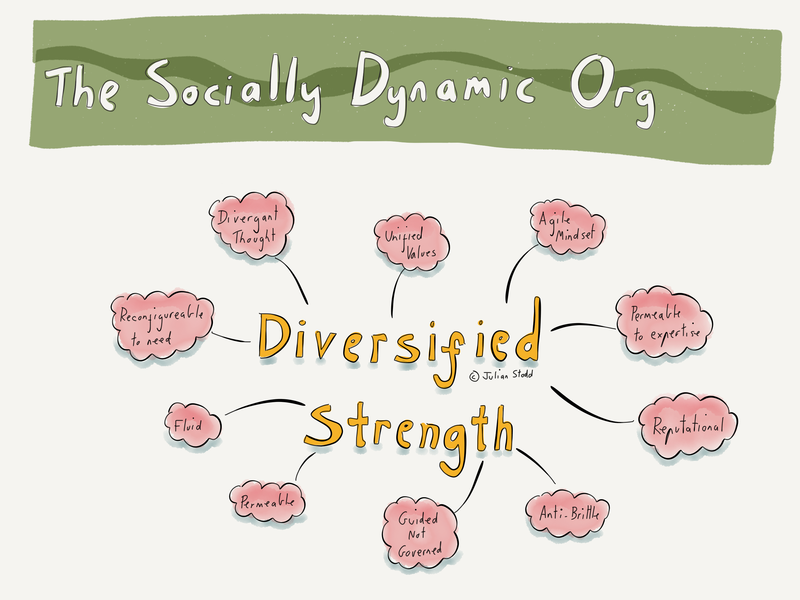 The Socially Dynamic organisation ties into both and maintains a dynamic tension between the two. At the end of last year I started sharing some work around emergent technology, innovations and impact, exploring a basket of seven technologies with the potential to make organisations more agile, faster learning, higher performing, so it made sense to link that work into this. One notion that I’m particularly interested in is that of buffering: this is an adaptive relationship between systems, communities, and types of power, where our understanding of what is being said, by whom, aggregated scale, and learnt from, can be acted upon. This action may include progressively opening up, or damping down, channels of communication. If we have a greater understanding of the impact, the true grounded impact, formal leadership actions and Social Leadership communities, we stand some chance of avoiding the rapid, cascading type, failure that often prevails. This is future facing work: I will positioning with the group as the kind of strategic thinking that they should be doing to look at the next 3 to 5 years. That’s about the time it takes to change an organisation, to evolve the culture, to become more connected and Socially Dynamic. 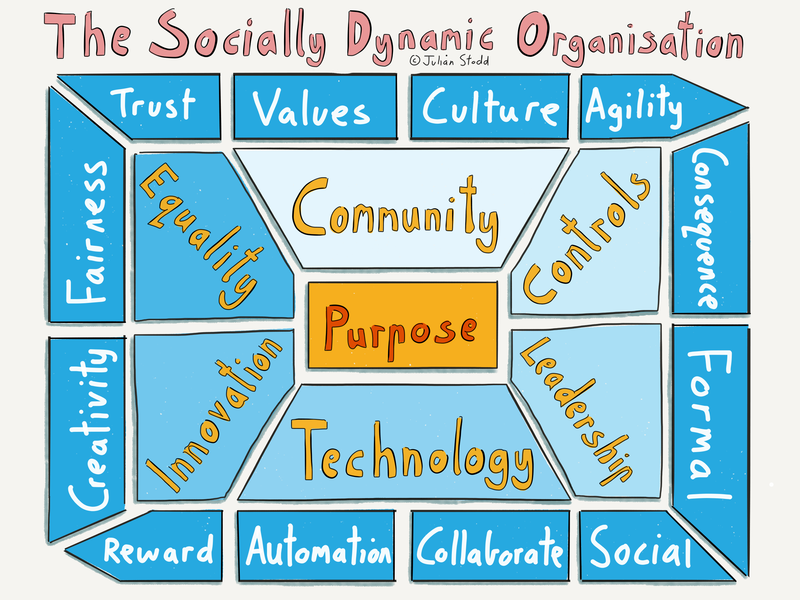 This entry was posted in Agile and tagged Agility, Black Swans, Community, HR, Leadership, Resilience, Socially Dynamic Organisation, Technology. Bookmark the permalink.